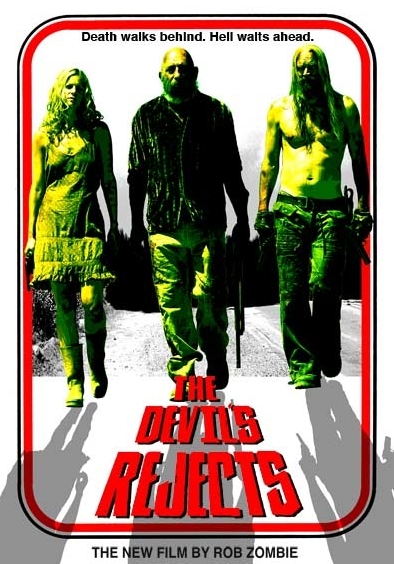 Story: From the visionary mind of acclaimed musician Rob Zombie comes "The Devil's Rejects", the gritty, violent follow-up to Zombie's smash horror hit, "House of 1000 Corpses". Written and directed by Zombie, the film reunites the homicidal members of the Firefly family, tracing their bloody flight from an outlaw sheriff hell-bent on revenge. Ambushed at their isolated home by Sheriff Wydell (William Forsythe) and a squad of armed men, the Firefly family wakes up one morning with guns blazing - yet only Otis (Bill Moseley) and his sister, Baby (Sheri Moon Zombie), manage to escape the barrage of bullets unharmed. Hiding out in a backwater motel, the wanted siblings wait to rendezvous with their errant father, Captain Spaulding (Sid Haig), killing whoever happens to stand in their way. But as the body count mounts higher, Sheriff Wydell decides to take the law into his own hands, paving the way for one of the most depraved and terrifying showdowns in cinematic history.